Although we haven’t been hit by snow like the East Coast this week, we’ve been experiencing a nasty deep freeze here in the Midwest. I had the misfortune of catching a cold, but Mike was lucky enough to escape to California for a little sunshine and a whole lot of awesome musical instruments (and musicians playing them) at the National Association of Music Merchants (NAMM) 2016 convention. While he was there, Mike searched high and low for anything paranormal, weird (aside from the wild assortment of freaky musicians everywhere- Hey, as one of them, I’m allowed to say that! ), and/or otherwise interesting to those of us into that kind of thing. If you didn’t already get the chance to check out his blog posts, his intriguing investigative reporting and commentary can be found in articles such as The Best Occult Imagery at NAMM 2016 and Moog at NAMM 2016: Synthesizers and the Sound of Horror. 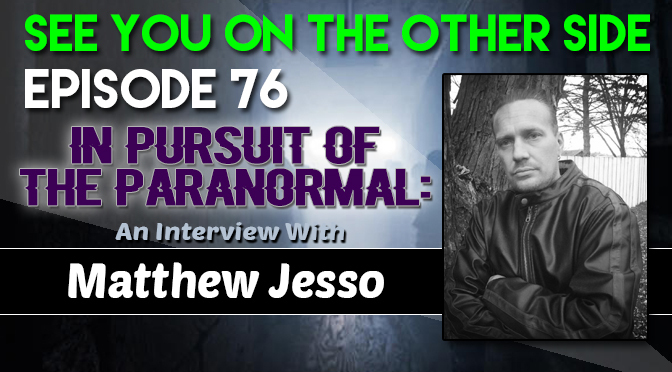 Back in Wisconsin, I had the pleasure of conducting my first interview with a paranormal investigator by the name of Matt Jesso. Another Midwesterner hailing from Minnesota, Matt has spent years working with people who have experienced the unknown or inexplicable phenomena, and works without compensation to help find resolutions – or at least clues – to many mysteries. As a Parnormal Investigator, Matt reviews claims from people who experience something “beyond the realm of understanding”. After gathering information about what is happening, he determines whether an in-home investigation is appropriate. He does Electronic Voice Phenomenon analysis, both for recordings made on investigations in which he participated as well as recordings sent to him from other investigations. The goal of each investigation varies depending on the objective of the client, and depending on the nature of the claim, he may involve other members of his network experienced professionals in the paranormal (demonologists, psychics, mysticologists, mediums, remote viewers, and clergy people) to collect as much information as possible. Matt had a curiosity about the paranormal from a very young age, reading everything he could about it. He discovered that, through information and understanding, he could overcome the fear that often accompanies experiences with the unknown. One way people find Matt is through the web site Paranormal Societies, an “internet Rolodex of paranormal investigators” willing to help people in search of haunting assistance. Matt became friends with Bill Wilkins, the founder of Paranormal Societies, through Twitter, and joined the database so he could provide his service to those looking for help. Matt, like many other investigators, does not charge for his services, but offers to help as a kind gesture. Part of our discussion touched on this blog article: “Too Many Ghost Hunters” written by our very own Mike Huberty, and Matt shared his opinion on the current trendiness of ghost hunting. Although he agrees that the field is a bit saturated at the moment, but the true professionals will continue to work together and have a very strong community that will thrive beyond the current ghost hunting craze . Some of Matt’s expertise comes from reading works of famous parapsychologist Loyd Auerbach, who has an extensive history of his own in-home paranormal investigations. 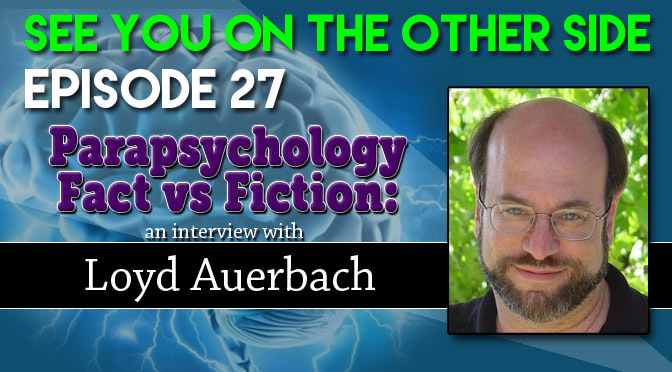 We learned a lot from Mr. Auerbach in our own Episode 27 – Parapsychology: Fact vs. Fiction, so I thought it was cool to hear Matt reference some of those concepts. Audio and video recorders, EMF detectors and K-II meters are some of the tools used in Matt’s investigations. 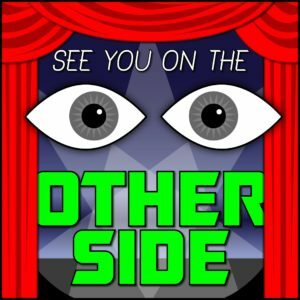 The topic of orbs did enter our discussion when Matt shared the scariest experience he has had. Upon seeing a video of himself surrounded by many orbs, Matt admitted he was frightened. However, he uses prayer to protect himself from negativity and determined it was a positive, rather than a negative, sign. What do you think? Mike shares his opinion at the end of the episode. But where can I find the truth?